EDNRM recommend we play a GT version of Sam Bee’s draft, and I totally agree! So everyone, list your fantasy list in the comments. 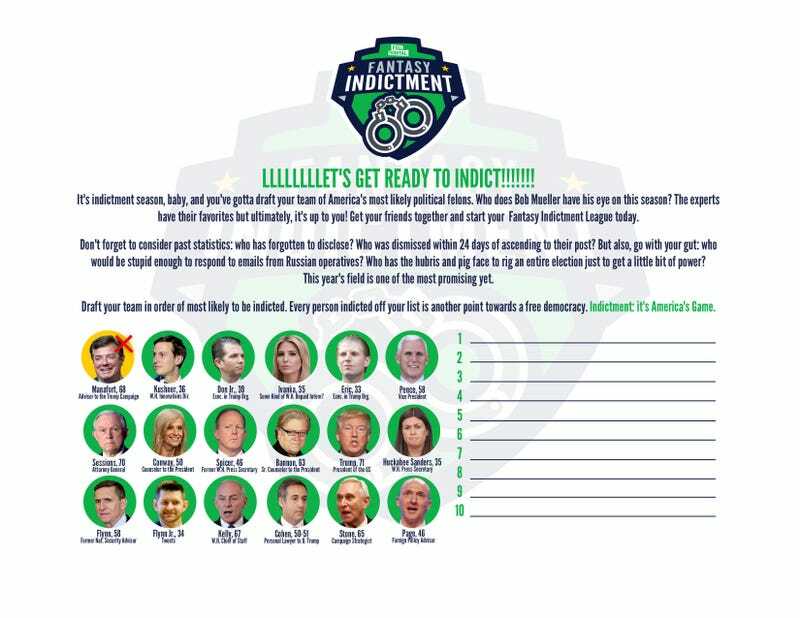 I’ll repost a couple of times to give everyone a chance to fill out their top 10, and then after every indictment to see where we all are. Good? This reality is hell, may as well make the best of it! Updated: Flynn charged with lying to the FBI!